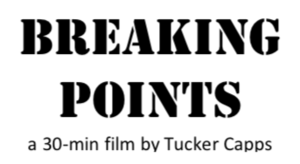 Grandview Heights Schools, Local Groups Present BREAKING POINTS Film, Parent Discussion - Thursday, April 11, 2019, at 6:30 p.m.
On Thursday, April 11, at 6:30 p.m. in the Grandview Heights Public Library, the community is invited to attend a screening and discussion of BREAKING POINTS, directed by Tucker Capps. 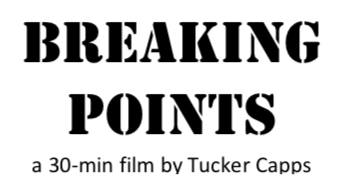 It is a 30-minute documentary intended for adults that explores the stress and pressures our teens face every day, as well as the unhealthy ways that many of them cope, including abusing prescription stimulants. HOMEWORK. COLLEGE ESSAYS. SOCIAL MEDIA. SPORTS. VOLUNTEERING. PART- TIME JOBS. FRIENDS. Teens' lives are jam-packed from the time they wake up until the time they can finally sleep and just keeping up is a daily struggle for some. 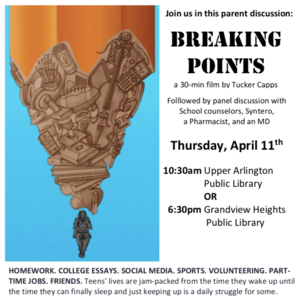 Participating in the parent discussion and Q&A from Grandview Heights Schools will be School Psychologists Abby Keller and Dr. Eric Pickering and Director of Student Services Dr. Madeline Partlow as well as the district's Syntero Clinician Tory Trimble. 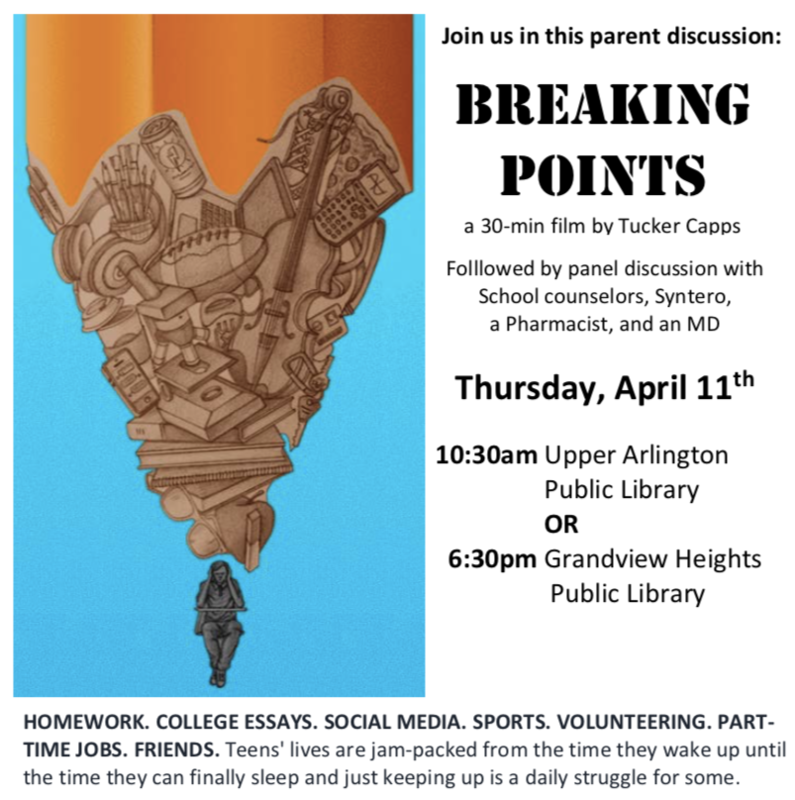 This program is sponsored in partnership with The Stand Project, Start Talking Grandview, Syntero, and the Grandview Heights and Upper Arlington Public Libraries.